Blanche Toney Hampton, age 92, of Rutherfordton, NC, died Saturday, November 26, 2016, at Holly Springs Senior Citizens Home in Rutherfordton, NC. 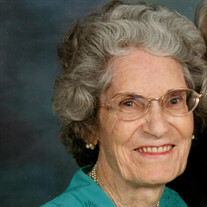 She was a native of Rutherford County and member of Green Hill Baptist Church. Blanche was the widow of the late James Clifford Hampton and preceded in death by two sons; James F. Hampton and Adam Jonathan Hampton. The family will receive friends from 10:00 AM to 11:00 AM, Tuesday,prior to the service at McMahan's. The Funeral service with a time of meditation will be at McMahan's Funeral Home Chapel at 11:00 AM, Tuesday, November 29, 2016 with Reverend John Bridges officiating. Interment will be at Green Hill Baptist Church Cemetery, Rutherfordton, NC. An online guest register/tribute wall available at www.mcmahansfuneralhome.com. McMahan's Funeral Home & Cremation Services in charge of arrangements.